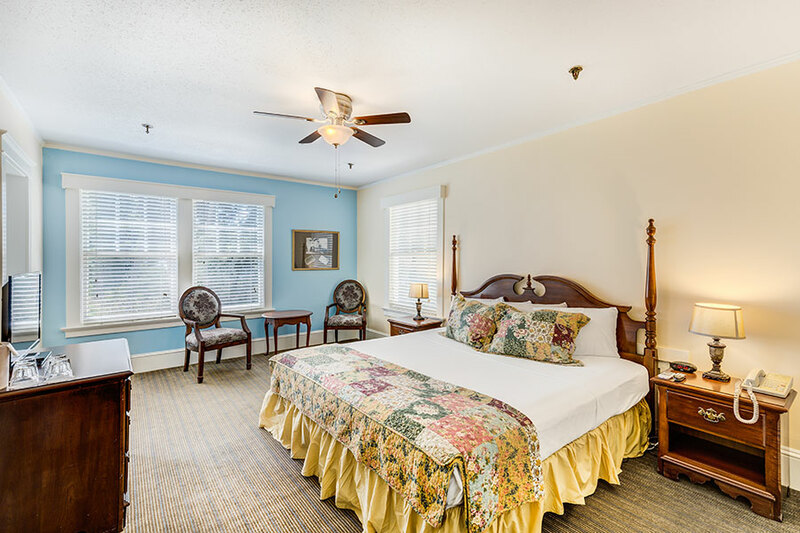 The 90 guest rooms and suites of Lakeside Inn are located in four distinct and historic buildings, which are named Lakeside, Gables, Terrace and the Sunset Cottage. The Inn’s fifth building, the Gatehouse, features a ground-floor gift shop, named The Gatehouse Gift Gallery and a second floor function space named the Donnelly Room. 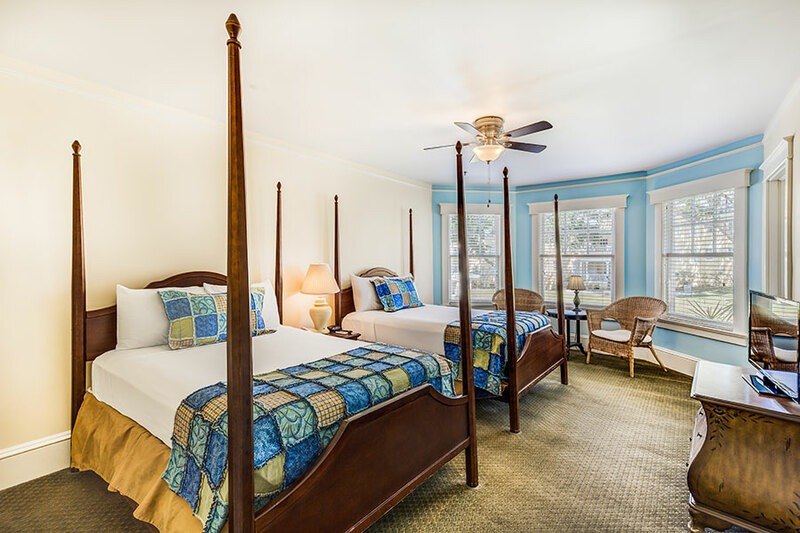 Of the four buildings that feature guest rooms and suites, only the Sunset Cottage is three-storied; the remaining buildings have accommodations on either a first or second floor. Elevators have never been part of the Inn’s history, so steps and stairs are evident in each building. The Inn is currently undergoing a multi-year restoration project involving structural and mechanical repairs, as well as general improvement to all of the aesthetic and environmental aspects of rooms, corridors and exteriors. 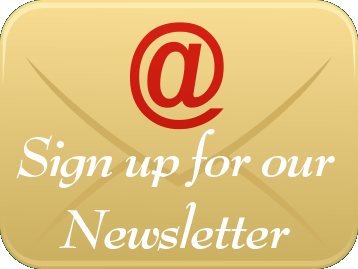 The aesthetic and environmental improvements encompass such items as carpeting, painting, bathtub refinishing, window treatments, artwork and the replacement some of the non-antique furnishings. One by one, as rooms are being completed, the Inn is steadily regaining its stature, and assurance of continued life and prosperity. New decors are bright and cheery, yet quite traditional. 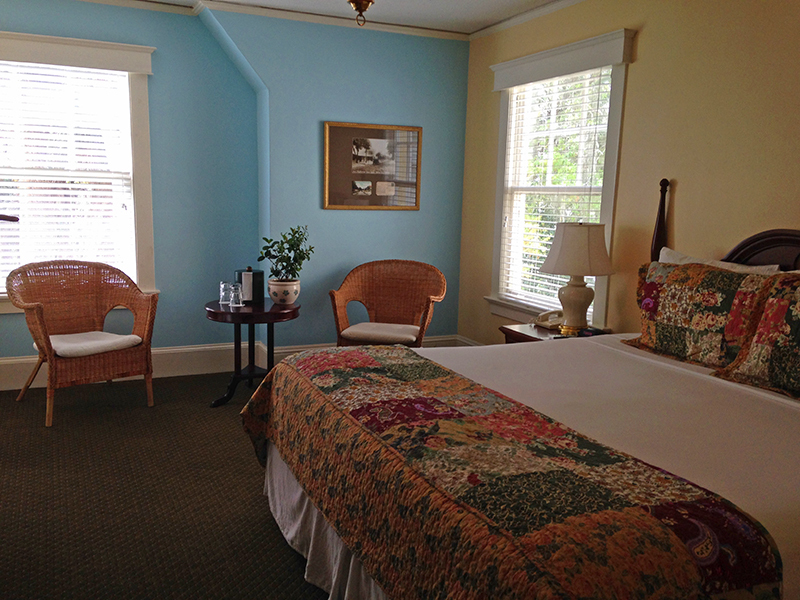 All paint colors used throughout the Inn’s interiors and exteriors are registered by the National Historical Trust for Preservation. For anyone that has not stayed in a true, original and historic, wooden-structured hotel, you are in for a treat. In spots, the floors will indeed creak. The guest room entry doors have glass knobs and are opened with real keys… and upon entering you won’t find the usual clutter of corporate marketing materials spread throughout the room. There are large walk-in closets and reminders everywhere that these buildings and rooms were constructed in a very different era of travel. An overnight stay at Lakeside Inn will be a very new experience for some guests, but a fond and pleasant reminder to many others. Inn Queen Rooms are the Inn’s original rooms, so they are slightly smaller and feature a single queen-sized bed. Comfortably appointed traditional rooms, featuring either a single king or two double beds. 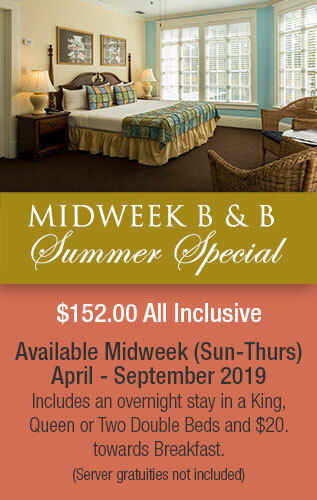 Comfortably appointed Florida rooms, featuring either a single king or two double beds and a view of the Inn's central courtyard and pool area. 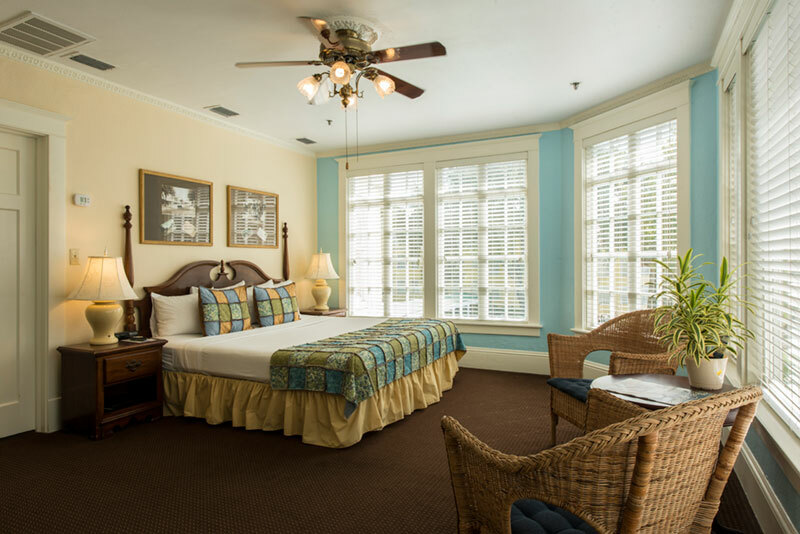 Comfortably appointed traditional rooms, offering either a single king or two double beds, with the advantage of an attached parlor room that features a sofa sleeper and arm chairs, a second television and small refrigerator. Comfortably appointed traditional rooms, featuring a single king. 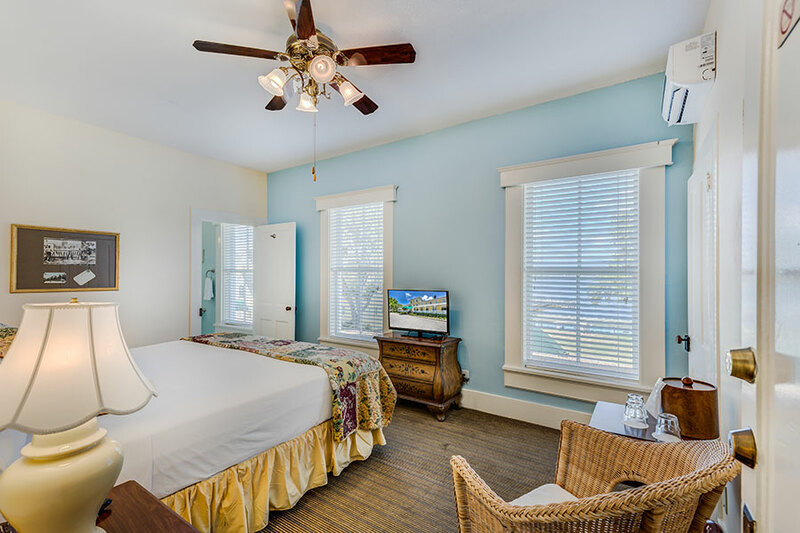 Lakefront Rooms also feature a panoramic view of Lake Dora.